Many people with gambling issues phone in feeling a sense of shame and guilt, they sometimes think asking for help is a further failure on their behalf. We would argue that this is a courageous move, we congratulate you for taking the first, most important step towards taking back control of your own life. You are not alone. Gambler’s Help Southern helpline operates 9am – 5pm weekdays. You can be assured of a confidential phone service run by qualified, professional counsellors. Ask some questions to determine the most appropriate course of action and specific support services you require. Your reasons for requiring the Gambler’s Help Southern service, i.e. In which way do you/or your loved one gamble and how often? The phone counsellor will make a booking for you to meet with a qualified counsellor face to face. Counsellors are available for the individual with the gambling issue, couples, families and young people affected. What happens if I get the answering service? Our centre receives around 20-30 calls for help every week. If you call outside of business hours or if all of our lines are busy, you will be forwarded to our voice messaging system, which is completely confidential and only accessible by Gambler’s Help Southern staff. Will attempt to call back at least three times. If you have limited or no capacity to receive return calls from us, please let us know – we encourage you to call us again. You may wish to get the process started online by going to > Book Now on the left side of this page. What happens with phone messages? Your message is confidential; our voicemail system is only accessed by Gambler’s Help Southern staff. Our counsellors are mindful of the caller’s privacy and are discrete when returning calls. If someone other than you answers the phone, or if they get your message service, the Phone Counsellor will not disclose that they are calling from Gambler’s Help Southern. What to expect after your first call to Gambler’s Help Southern? You’re initial phone contact will be with a qualified counsellor through Gambler’s Help Southern Helpline. It is available for the individual with the gambling issue, couples, families and young people affected. This service is free and confidential, local and mobile phone call charges apply. You will have the option to continue your counselling journey by booking an appointment to meet a qualified counsellor, face to face at one of our many South Eastern Melbourne and Peninsula regions. 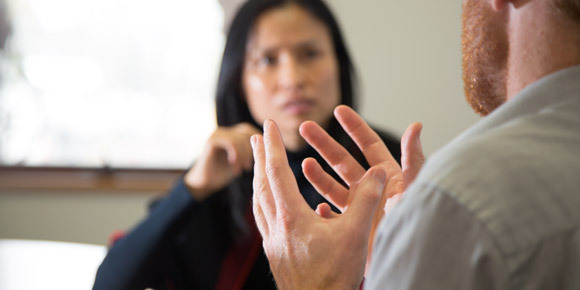 Many professional services are offered, namely face to face, and financial counselling and assistance connecting with allied health service professionals. The counsellor can meet with the individual gambler alone or with those affected by gambling harm. Specialist counsellors can also facilitate group sessions for couples, families and friends. You will be referred to your most convenient location, and assigned the best counsellor fitting your case requirements and specific needs. You have the ability to choose the location that best suits you and where possible your preference of a male or female counsellor. One of Gambler’s Help Southern’s strengths is the variety of specalised skills and techniques employed by their professional counselling staff. 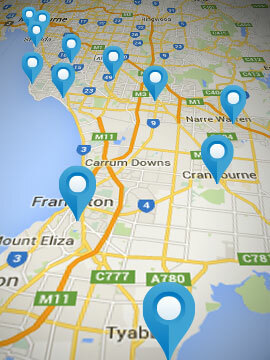 Gambler’s Help Southern operates from many locations across the South Eastern Melbourne and Peninsula regions. The days and hours of operation at these locations vary, as do the waiting times but usually you can attend within 2-3 weeks. If you are flexible about your appointment time and/or location your appointment may be sooner. We are here to help and we aim to assist you as soon as possible. What do I need for the first appointment? You should allow 1½ hours for the first appointment (subsequent sessions are usually 1 hour long). When you arrive for your appointment, please see the reception staff and let them know your name, the Counsellor you will be seeing and your appointment time. provide you with information about your rights and responsibilities when receiving our services. seek your consent to collect and use certain financial and health information in order to provide you with services. Can I get a letter of attendance for personal/sick leave? To assist workers with using personal/sick leave from their employer, Gambler’s Help Southern staff based in health services can provide you with a “notice of attendance” for appointments. These notices are on the letterhead of the health service where you attend the appointment (not Gambler’s Help Southern letterhead) and include the name and role of the Gambler’s Help Southern worker (e.g. Counsellor, Financial Counsellor). Workplace leave entitlements vary, so please check with your employer. What if I can’t attend an appointment? We understand that sometimes unavoidable situations come up meaning you cannot make an appointment. When this happens, as a courtesy, we’d ask that you let us know as soon as possible. Please contact the relevant Gambler’s Help Southern worker directly to cancel and reschedule an appointment.